KEY LIME PIE is another pie my friends remind me to make. Fresh key limes is the secret ingredient. Try and get the key limes instead of regular limes. It tastes just as good either way. The first time I had the Blonde Giraffe’s” key lime pie in Key West, Florida I was hooked. It was that good. Using a family recipe from their Brazilian grandmother, the Blonde Giraffe‘s pie shop flourished and delivered key lime pies all over the U.S. (No longer delivers (the pies) and the Blonde Giraffe has moved). They added key lime zest to the whipped egg white topping. Instead of their traditional evaporated milk, we will be using whipping cream + cream cheese. 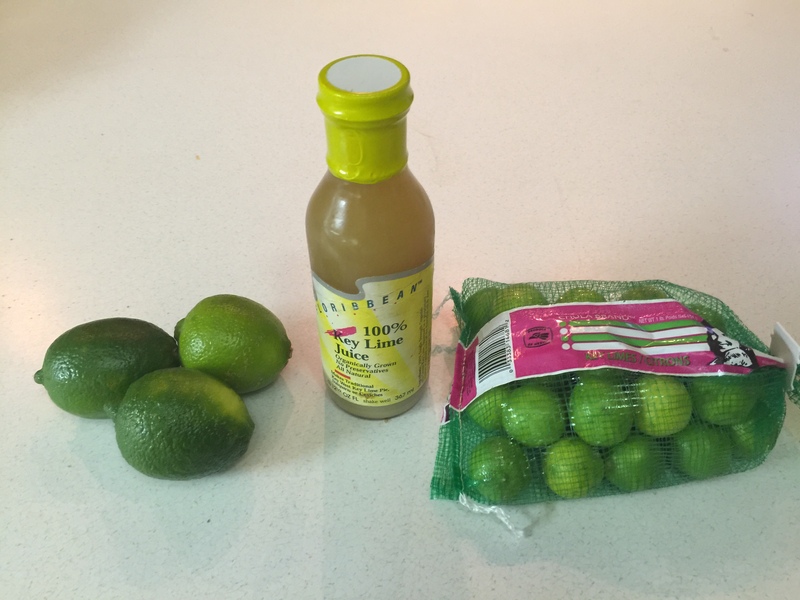 We will also be adding avocado to this health -TRENDY key lime pie! 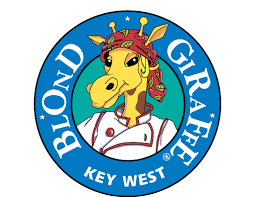 BLONDE GIRAFFE – Home of the award winning KEY LIME PIE! When I came down to Florida, my sister would leave a Key Lime Pie in the freezer for us. What a treat! I would get up at night and wander into the kitchen for a treat and hack away at the key lime pie like a block of ice. It was just as good frozen! I guarantee it! 1/4 cup sugar – Stevia, organic coconut sugar, etc. DirectionsHeat oven to 350 degrees F. In food processor, pulse walnuts until finely ground. Add graham cracker crumbs, 1 tablespoon sugar, anise seeds and salt; pulse just until combined. Add 2 tablespoons water; pulse until ingredients are thoroughly combined and resemble wet sand. Press into bottom of an 8 1/2-inch springform pan. Bake 20 minutes; cool completely. The walnuts are a healthier option. The tiny amount of anise seeds give it an interesting flavour.An almond crust would also be a very healthy option. This easy-to-make crust contains just three ingredients and browns up beautifully. You might even like it better than traditional pie crust! Combine the sugar and almond flour in a bowl. Pour the butter into the almond mixture and stir until well combined. Scrape down the sides of the bowl frequently until all the almond flour is incorporated with the butter and the dough forms a moist ball in your hands. Place the ball of almond flour dough on the bottom of the nine-inch spring form pan. Use your fingers to press the dough evenly out the sides. 2. Place the gram crackers in food processor until finely ground. Add 8-12 dates (less is better), Hint: moisten the dates with the water -use kitchen sheers to cut and drop the dates into the crumb mixture before turning the blender on. Add salt and melted butter. Process until a moist crumb forms. Press crumb mixture onto the bottom of a 10 inch diameter spring form pan or 10 inch diameter mousse ring. Chill in the freezer for 10 minutes to set. 3. Boil 150 ml of whipping cream in a small sauce pan and add it to the gelatin powder in a medium bowl, stir for 2 minutes until completely dissolved. strain through fine sieve. Cool it down. 4. 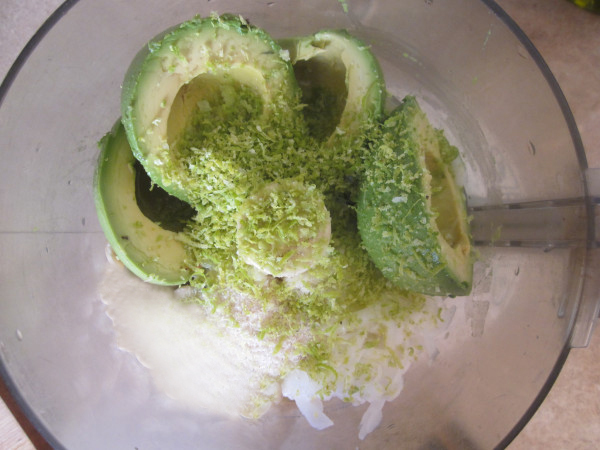 Using a food processor combine avocado, cream cheese, sugar, 200 ml. whipping cream, lime juice, zest and 30 ml of water until everything is smooth and well combined.. Pour in the cooled gelatin cream mixture and continue processing until well combined, cream and smooth in texture. 5. Pour avocado lime cheese cake into the prepared cake pan and smooth the top. chill in the freezer for 1 hour to set. 6. Release the pie from the pan if using spring form pan. If using a mousse ring (which I used I this recipe) use a blow torch and run around the edge of the ring to loosen the mousse and remove the ring. 7. 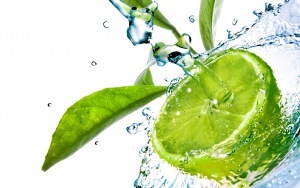 Garnish with lime slices and zest on top. You can substitute quark (even cottage cheese) for the cream cheese to have a lighter side. My aunt (German influence) always uses quark in baking her cheese cakes. For this recipe I was able to produce an 8 inch and one 4 inch pie. This recipe can fill a 10 inch pan too. WHIPPING CREAM: People sometimes use half and half as a substitute (12% milk fat) for whipping cream. “Whipping cream” is made up of 30 percent fat, while cartons labeled “heavy cream” or “heavy whipping cream” must contain 36 percent milk fat. The fat gives stiffness to the cake or pie. That is why we added the gelatin -for stability. Evaporated milk contains 7.5% milk fat. Remember…the evaporated milk is still susceptible to microbiological spoilage even though the evaporated milk is packaged in cans and heat-sterilized. Tropical countries use evaporated milk a lot since refrigeration may be a problem in some areas. RED SKY AT NIGHT SAILORS DELIGHT! 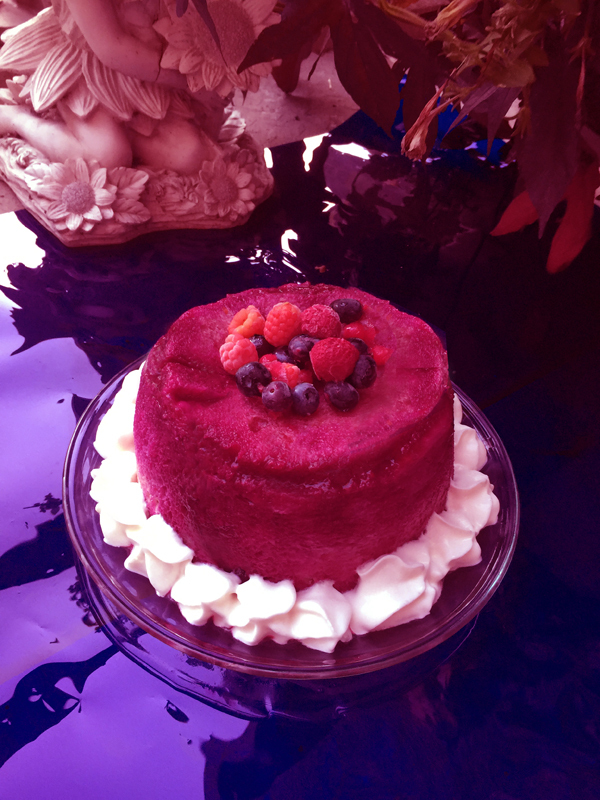 Celebrate summer evenings with beautiful golden red sunsets enjoying abundant fresh fruit with my favorite SUMMER PUDDING! When I saw red and black currants at the market, I was immediately inspired to make my favourite dessert. I am not a big fan of desserts in general. But, I love my summer pudding! You can use a combination of almost any berries that are available. There is so much fresh fruit this time of year. Our window of opportunity to make this healthy dessert is here now! Imagine a dessert packed with super foods! 4. Line a 1 quart (1 liter pudding basin or Charlotte mold ) container with plastic wrap so that the pudding will be easily removed from the mold. Leave the pudding overnight in the refrigerator or a very cold place. Serve with whipped cream, custard sauce, or cream if desired. Alternatively if you cannot find currants substitute strawberries and or raspberries and add lemon juice to get the tangy flavour of currants. Loganberry or blackberry can be substituted for blueberries. 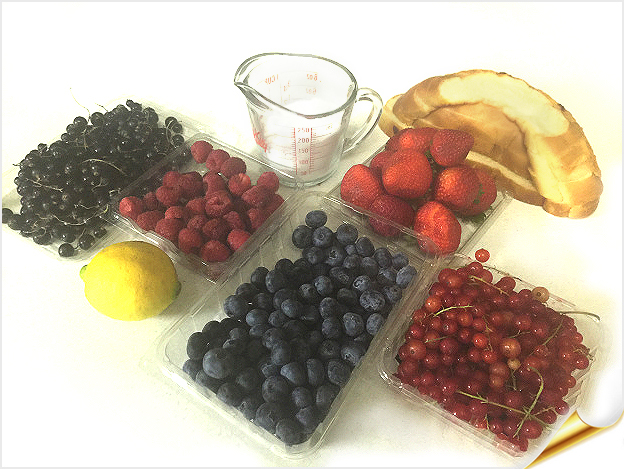 For single servings, make individual portions by using large ramekins. Use the ramekin to cut out the piece(s) of bread. Place one circle of bread on the bottom. Fill with the fruit compote and top the ramekin with another piece of bread if you like (optional). A fruit sandwich! You can line a soup tin with saran wrap and make a 3 -layer tall single serving ~super size it! When you begin, place the bottom of the saran lined tin on a small plate starting with the bread on the bottom. Use whatever you have handy. You do not have to get the exact container that is mentioned in the recipe. The possibilities are endless. Use sourdough bread for this summer pudding. The hypoglycemic index is much lower in sour dough bread than any other white bread. You will not have a hypoglycemic episode after eating sour dough bread. Dense white bread may require more liquid. Keep the extra liquid in the frig. When you unmold the pudding–fill in the missed (white) spots with the juice. I found that additional liquid was needed. Research shows that the common or garden black currant is more nutritious than other fruits ~ from home-grown apples and strawberries to tropical mangoes and bananas. 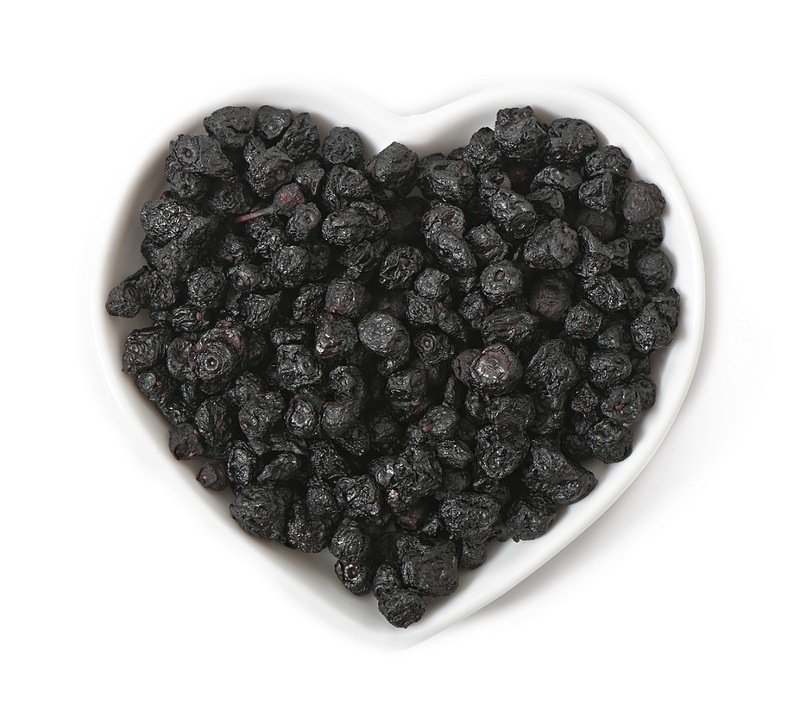 Black currants also contain the highest levels of health-boosting antioxidants – natural compounds credited with the ability to stave off a range of illnesses from heart disease, cancer, Alzheimer’s disease and diabetes. Since the middle ages, herbalists used black currents to treat bladder stones, liver disorders and coughs. A black current cordial was given free to children during the Second World War in Europe. Black currents are popular in European countries. All berries have numerous health benefits but if you can find black currants, you will have the number one super fruit. 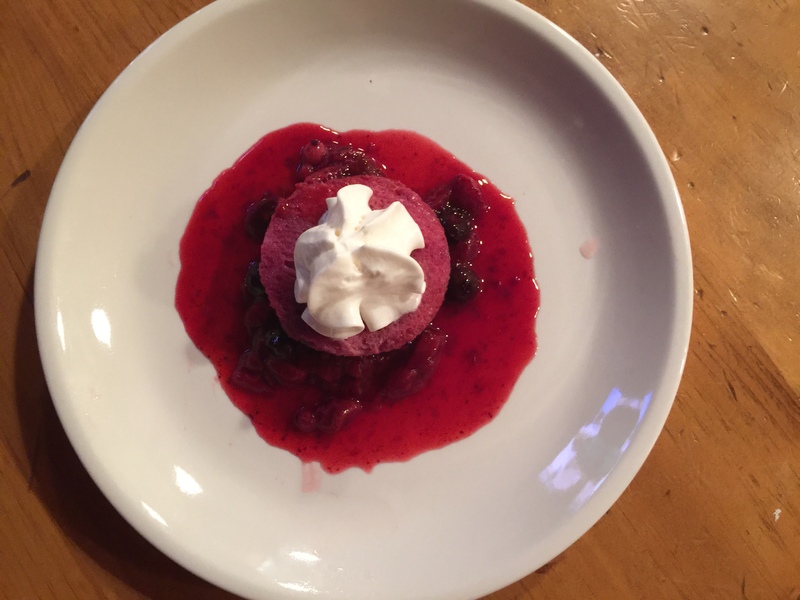 Simply Splendid Summer Pudding (used Charlotte mold)! A true foodie; full of fine dining tips and noteworthy suggestions. While growing up, I would open the fridge and often see wonderful surprises like smoked eel! No eye of newt? I grew up in a Scandinavian cuisine. It included my mother's buttery 'Pulla' - a Finnish sweet bread with cardamon. A hit with friends at Christmas time! Crackers: Serve with soup, dips, snacks for pennies a piece!